Welcome to PA Sports, a team of the leading sports tourism organizations from throughout the Commonwealth of Pennsylvania. 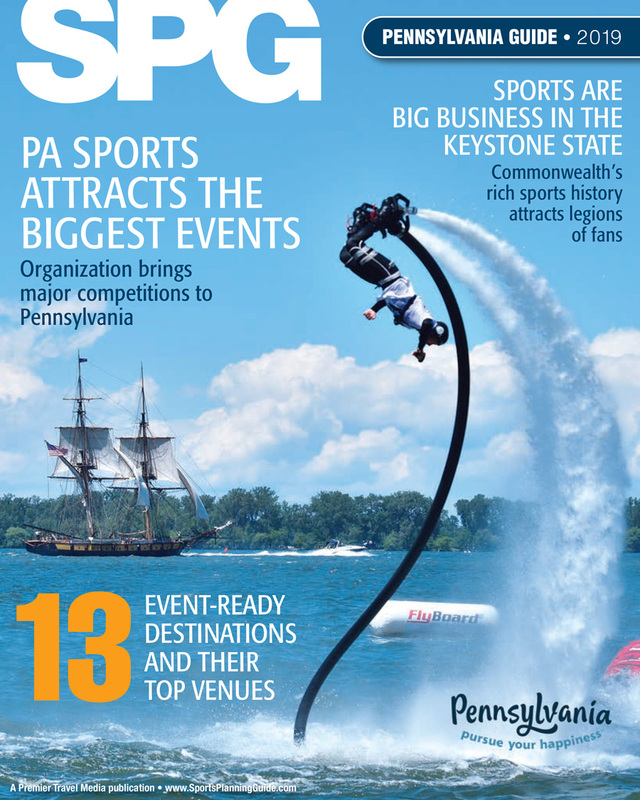 Our mission is simple – to attract quality sports events to Pennsylvania, and service them at the highest level. No matter the sport or size of your event, one of our 13 member destinations can serve as the perfect host city. PA Sports is your one-stop shop for a wide range of indoor and outdoor facilities across Pennsylvania that offer easy accessibility, affordability, and leisure time attractions. Check us out! We look forward to hosting your events in the Keystone State! Our partnership with the Butler County Sports Commission/Butler County Tourism & Convention Bureau was instrumental to our successful hosting of the 2015 PDGA Pro Disc Golf World Championships. BCTCB helped us win the bid, line up the host hotel and other player accommodations, as well as connecting us with local sponsors and venues for what the Professional Disc Golf Association called “one of, if not, the best Pro Disc Golf World Championships ever!" We are grateful for the support we have received from the Central PA CVB and their partners in State College. NXTsports runs events across the country, and the Chester County CVB is by far our strongest local event partner. The support of Chester County CVB has played a major role in our decision to expand NXT’s local portfolio of events. President & General Counsel, NXTsports, Inc.
East Coast Volleyball has been fortunate and thankful to be working with an organization dedicated to supporting, growing and promoting our (3) Annual East Coast Volleyball Events in the Lehigh Valley. Discover Lehigh Valley Sports is dedicated to Sports Travel Tourism Industry, and they’ve been with us from year one. I can't say enough regarding DLVS's commitment and help towards our sports events. It is truly a pleasure working with DLVS every year, as we look forward to a continued strong and prosperous relationship. It takes a lot of effort, time, and contacts to bring a large event like The Color Run to any community. As a Race Director, I am most always left to myself to work out finding a venue, a place for packet pickup, a decent hotel, and parking for participants. Bringing The Color Run to Erie, PA was the easiest experience I have ever had. I’ve never had more community support in any city than Erie. All of this was because of the involvement of Ron Sertz and Mark Jeanneret at the Erie Sports Commission. Without their knowledge, contacts, and advice, the entire process would have been so much more difficult. For over ten years, we have worked with Gregg Cook and the Hershey Harrisburg Sports & Events Authority to host one of the largest girls basketball tournaments in the region. A tremendous asset to our team, Gregg has proven to be extremely organized and helpful in all phases of our event planning. He is a true professional in every sense of the word and we look forward to a continued relationship for years to come. We were very pleased with the York County CVB’s Sport York team and York Expo staff. Of all the events we host, they are the most organized, helpful and cooperative. They go above and beyond to make us feel like we are truly wanted and important. The local ROTC and other support groups and volunteers are outstanding. We are very hopeful we could expand our current event or add another in the future. Pittsburgh’s got everything. You’ve got a downtown corridor that has everything together, all the hotels, easy transportation, great restaurants, great attractions. The Valley Forge Tourism & Convention Board has been nothing short of amazing to work with on our Adrenaline Lacrosse events. We host events all over the country, but the commitment and support we get from Valley Forge will certainly keep us coming back. The Luzerne County Visitors' Bureau, especially Janet Hall, is very helpful in gathering information relating to lodging, food, recreation, shopping and attractions in the Wyoming Valley. The Luzerne County Visitors' Bureau is generous with their assistance and resources. They are also very easy to work with. You can't go wrong with Mohegan Sun Arena and The Luzerne County Visitors' Bureau. They make the Wilkes-Barre area a great place to hold your event. Having worked with Amy Capcara was a great pleasure. We brought our event, the College Table Tennis Championships, to Monroeville back in 2014 and working with her was like having another executive board member for our championships. I wish other CVB's were as helpful as her and her CVB.